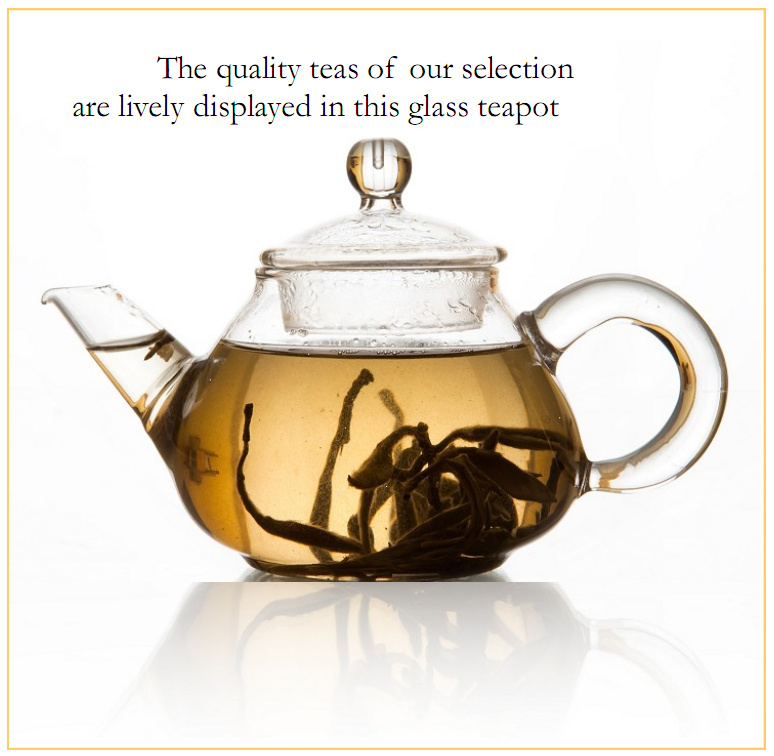 To fully enjoy infusion beauty, a glass Gaiwan or teapot is recommended for our selections. An interesting tea tasting experience is that a bright and transparent infusion colour is always accompanied by a clean, clear, dry and astringent taste. brownish infusion colour. A glass Gaiwan or teapot only displays this embarrasing reality. Being brave enough to taste the tea, you get an oily, muddy, uncertain feeling around your mouth; perhaps milk and sugar mixed into such poor quality teas can avoid the embarrassment? 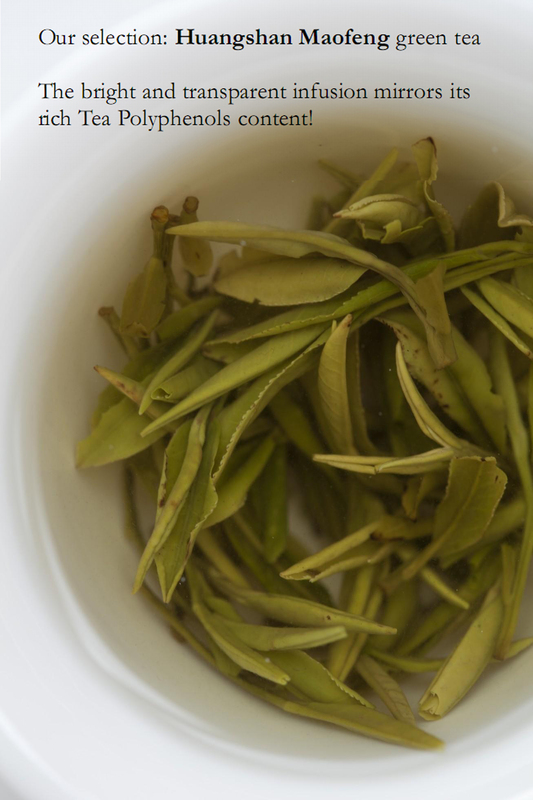 A contrast in taste gives a contrast in health value: a bright transparent infusion with a clean astringent taste means a high content of tea polyphenols! The key knowledge here is: tea polyphenols are a strong anti- oxidant. Tea polyphenols, tea amino acids and vitamins, these three heroes in quality tea, together contribute to our health. Tea Polyphenols are chemical compounds composed of more than 30 sorts of phenols, and 60-80% of the phenols are catechins (EGCG, ECG, CG……). The polyphenol compound gives off an astringent bitterness in taste and a bright transparency in infusion. Tea polyphenols can strongly react with free radicals, with remar- kable antioxidant effects. Numerous medical researches show that tea polyphenols are active in the human body eliminating free radicals, suppressing oxidation, synergizing with other antioxidants such as vitamin C and E and maintaining antioxidant concentrations. 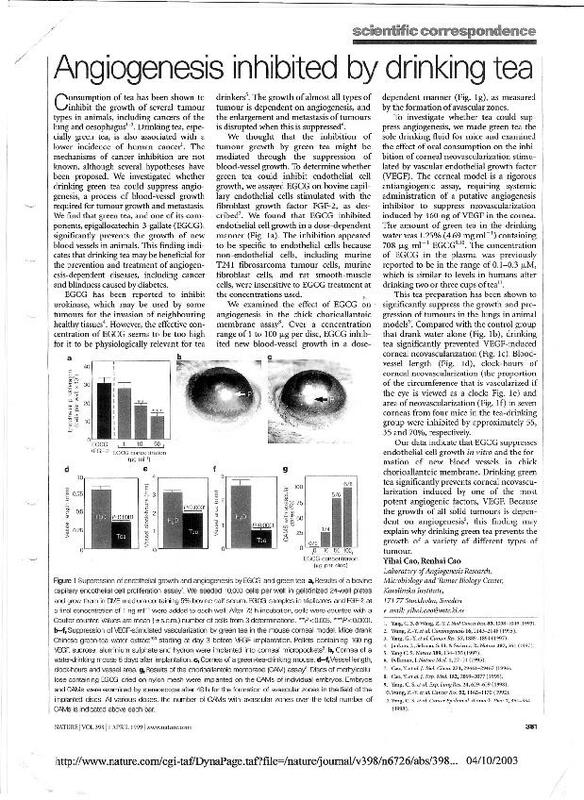 prevention and treatment of angiogenesis-dependent diseases, including cancer and blindness caused by diabetes”, quoted from line 13, paragraph 1.